I don’t think I write children’s books. I think I write stories. And stories are for everyone. But from the moment The Many Worlds of Albie Bright was first published, young readers have demonstrated to me their appetite for the big ideas of science. 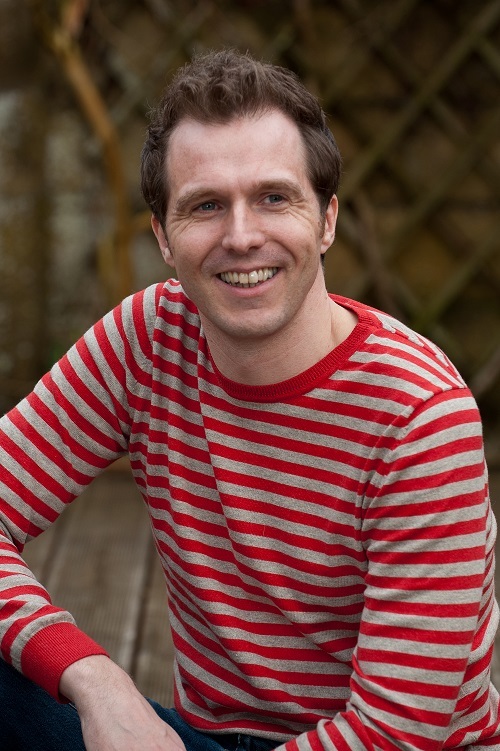 At school and literary festival events I’ve carried out live-action demonstrations of Schrödinger’s cat and now as I get ready to start talking about my new novel The Infinite Lives of Maisie Day I’m busy working out the logistics of building the biggest-ever Möbius strip in the world! Science explores the big questions about life, the universe and everything – the same questions that can underpin the very best stories. Why are we here? What makes us human? How do we know we really exist? Young readers are eager to grapple with these questions and children’s literature can provide the medium to help them to do this. As YA has grown as a genre in recent years, there’s been increasing discussion about what the difference between children’s and YA fiction actually is. Some talk about the age of the protagonist, whilst others point to the themes and issues tackled, but for me I think of children’s fiction as looking outward at the world, whilst YA books look inward. I’m aware that there are lots of examples that contradict this distinction and I think the best books do both, but this sense of inquisitiveness is what fuels my fiction. Science and stories both help us to make sense of the world and I hope The Infinite Lives of Maisie Day can feed the insatiable curiosity I find in the children that I meet at school and literary festival events. Through fiction we can inspire the next generation of scientists, engineers and astronauts, and use science to hook a new generation of children on reading too. With thanks to Christopher Edge. 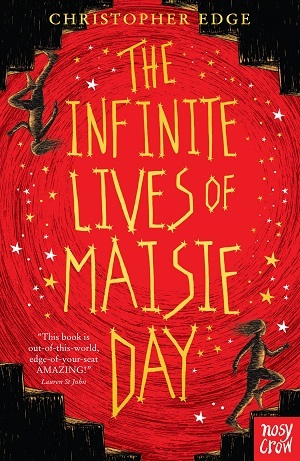 You can buy The Infinite Lives of Maisie Day here. “Without a knowledge of history to give him [a student] a context for present events, he is at the mercy of every social misdiagnosis handed to him.” So said Hilary Mantel about history. 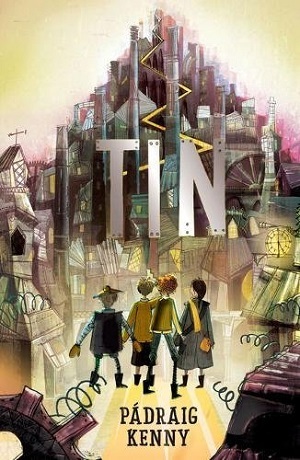 And whilst Tin isn’t a historical novel, it is set in a distorted past, providing an opportunity to open the reader’s mind to thoughts about an alternative future. For this is a book about Artificial Intelligence, cleverly disguised as a Pinocchio style adventure. Christopher works for an engineer, making ‘mechanicals’: children-shaped metallic figures with magical glyphs, like computer code, which empower them to act like humans. These mechanicals become some of his closest friends and family. But a devastating accident reveals a secret about Christopher’s past, and leads him down a path of self-discovery, and also a glimpse of what mechanicals could really do. Not only is this an extraordinarily clever novel, but it is also a gripping children’s read, and a social commentary at the same time. The mechanicals are wonderfully written – Kenny showcases them with varying degrees of intelligence, knowledge and sentience – not unlike humans it must be said, but manages to portray each with its own particular personality, as well as consistently showing them to be not quite human. There’s Rob, simple, naïve, excessively loyal and caring. Manda, the small girl with her teddy bear, Gripper – the oversize muscle robot. Each has its own role, and part in the plot, but Kenny cleverly writes them ‘reading’ human interaction by studying humans’ body language and imitating it, not unlike how babies’ read their parents, but this is more stated, more blatant. The mechanicals also spell out how they are deciphering the meaning of words – especially when a word has more than one meaning. In this way, the mechanicals seem slightly less nuanced, simpler in their emotional intelligence, more childlike. And yet, they pulsate with emotion and the reader has endless empathy for them. It’s a clever manipulation of the reader, and by doing this Kenny is also showing how artificial intelligence could indeed manipulate humans. But in Tin, the mechanicals discover things about themselves through their interactions with others – both fellow mechanicals and humans. They realise that what makes somebody human is familial ties – the ability to love and mourn. The mechanicals experience loss, and then love to a certain degree, but they are still not completely human – they remain mechanical because they don’t have a soul, some essence of something that can’t be defined. They remain simple without ‘real’ memories. They also remain mechanical because they can’t experience ‘malice’ or aggression. This is where Kenny steps up the pace of his book, as he explores the idea of mechanicals ensouled in order to work as soldiers. Here, Kenny nods towards The Terminator, and explores the idea of artificial intelligence used for mal-intent. What makes us human, he implies, is not just the ability to love deeply, but the ability to harm deeply too. Humans are all about power. And, most apt, in these times, a human’s ability to distinguish between lies and truth. By setting the novel in a distorted past (a revised 1930s), in which the Great War has happened with appalling loss of life, and cars are on the increase, although there are still horses and carts, Kenny has inserted mechanicals/robots in a small way – they are chauffeurs and work in retail – although they haven’t completely dominated the landscape – there isn’t an implication of robots taking on all elements of industrialisation, yet. But what the robots have done, in a roundabout way, is to crush the women’s movement. In Tin, females are vastly absent. There is only Estelle, who works for the engineer Absolom, albeit in an illegal way, as women are forbidden from being engineers/craftsmen. In this way, the reader can assume that if robots are working at certain tasks, the number of jobs available to humans is diminished. “You don’t have a soul. You don’t need one. You’re not proper. You’re better than proper.” You can buy it here.